The Vineyard Theatre's mission is to develop and produce bold new plays and musicals by emerging and established artists. Located in New York City, they are committed to nurturing artists and fostering new collaborations. As part of their fundraising efforts, they run online auctions 2-3 times per year, starting all the way back in 2013. The theatre has run 11 auctions to date, and they definitely take note of what works for them - not only do they consistently include top-selling items, but their spring auction takes in between $23,000 and $27,000 each year! Some of the hottest sellers for the Vineyard Theatre's auctions include plenty of event tickets and one-of-a-kind experiences: Saturday Night Live tickets are always popular (these ones sold for $11,000! ), and clearly there's no going wrong with hard-to-get Hamilton tickets. Plus, Vineyard Theatre regularly manages to add on meet-and-greets or backstage tours to the ticket packages - like this set of tickets to If/Then with a meet-and-greet with Idina Menzel, or this House of Cards set tour with a meet-and-greet with the cast members - which makes them priceless! Yet it wasn't a hot start out of the gate for the theatre. Before using BiddingForGood, a challenge the Vineyard Theatre faced was generating buzz around their auction at their event. In response, they decided to use their gala to support the auction. The auction ran throughout the week of the gala, and instead of closing items at the event, they used the gala to drum up awareness of the auction. Another issue was engaging people in the auction. In the past, it had been difficult to turn peoples' attention towards a silent auction in another room, particularly when there was other programming occurring. Yet by putting their auction online, they were able to promote the auction by posting its URL around the entire physical event space – from the programs to table signs and everything in between. They also used a leaderboard to encourage bidding from the community, which played a big part in helping promote the auction and generate buzz at the gala. The leaderboard was displayed prominently and changed dynamically throughout the event, which helped keep people engaged in the auction. Overall, the promotion paid off and the Vineyard Theatre more than reached their goal! 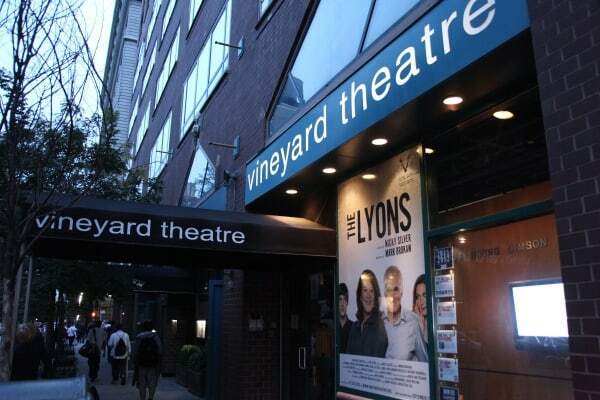 Since then, the Vineyard Theatre's auctions have only grown, and they're a great example of how a small company can use online auctions to take its fundraising profits to new heights. If you want to get more ideas from the Vineyard Theatre about what you can offer up at your own charity auction, check out their full catalog for some inspiration.